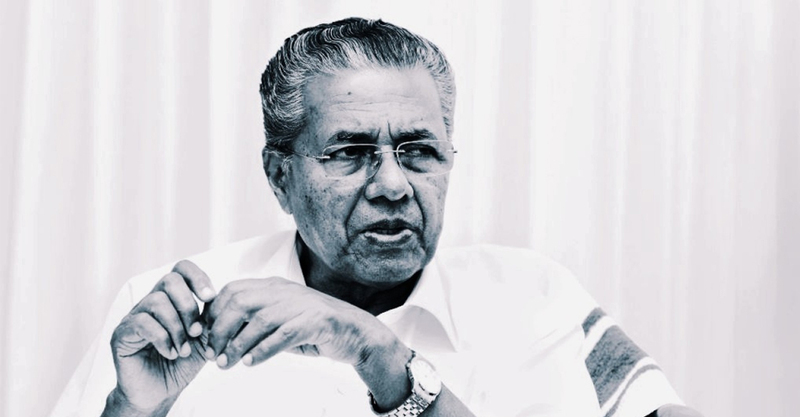 Chief minister Pinarayi Vijayan is being receiving hundreds of messages from Tamil Nadu expressing gratitude. 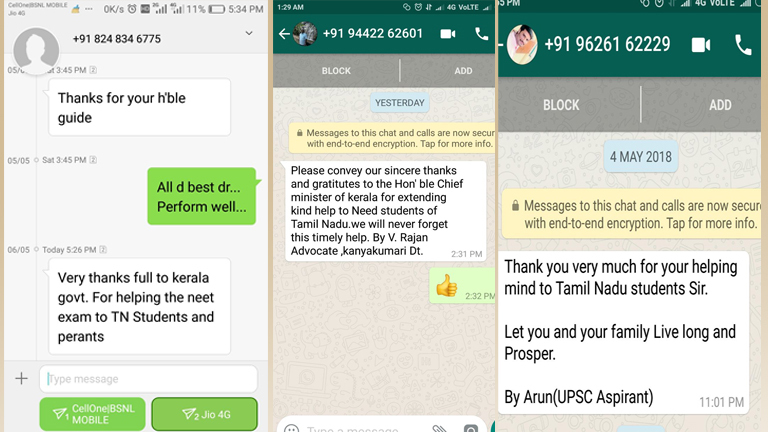 The messages come from students and their family members for making all arrangements for candidates who arrived in Kerala for writing the NEET exam. Students and parents are sending the messages through Whatsapp and mobile SMS which the number they have been given as part of help desk. Kerala government had opened help desks at railway stations and bus stands to provide information and other guidance to candidates arriving from Tamil Nadu. Directions for help desk i were issued by the chief minister to collectors and police chiefs of districts before Sunday’s exam. In Kerala, Ernakulam district had the largest number of Tamil Nadu students appeared for NEET. Around 5,000 students from Tamil Nadu were allotted exam centers in Kerala, Karnataka and Rajasthan. 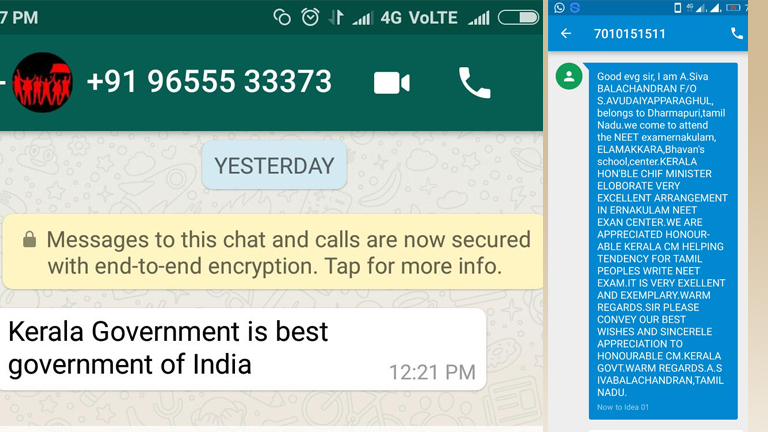 Some messages also praised Pinarayi vijayan’s rule in Kerala says it’s the best in the country. They also expressed gratitude for the timely help and one message says they thank from the bottom of heart and all the students and their families will always thankful to the CM. 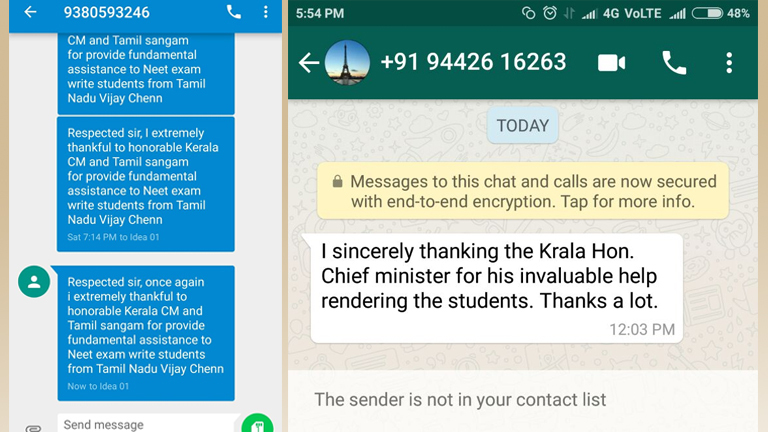 CPM Tamil Nadu secretary K Balakrishnan had requested Pinarayi Vijayan over phone to arrange the necessary facilities for students from the neighboring state. Meanwhile Pinarayi Vijayan congratulated the District police chiefs and Collectors for their work. Kerala government has reschedules the KSRTC buses to tamil nadu and also run more interstate services that helped them to travel back.